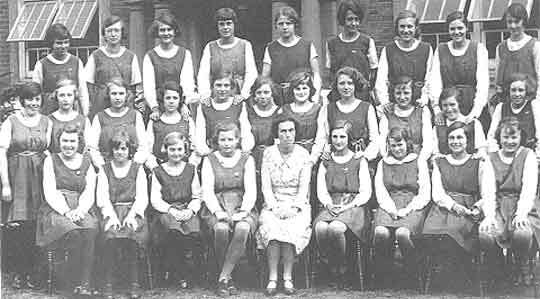 Fred Joan Ferris at Ealing County School - she is behind the teacher. She told me that once when she had been misbehaving and was standing outside the classroom door, the head came along and demanded to know her name - in desperation because she knew she would get a beating from Albert Ferris, she said "Cicely Figgleypot". Freda "Joan" Ferris, photo taken on her honeymoon Freda "Joan" Ferris,paddling as a child.